Best Books For A Transformative New Year This holiday season, as we stand at the brink of a new administration, there's a thrill of history in the air. These books will help anyone, whatever his or her politics, understand what the nation has come though to reach this moment. Get all our critics' year-end picks for the best books of the year. Allow me to begin by stating the obvious: there's something different in the air this 2008 holiday season — and it's not just the Scrooge-like damper on spending cast by the financial crisis. The holidays this year also serve as prelude to the inauguration of the nation's first African-American president. This is such a milestone that most people I know are still walking around saying, "I can't believe it really happened." So this year, I'm recommending some terrific books that can help anyone, whatever his or her politics, gain a deeper understanding of what we've had to come through as a country --what we're still struggling through — to reach this moment. And, yes, in recognition of the fact that many of us are humming "We Ain't Got a Barrel of Money" more often than we're singing "Santa Clause Is Coming To Town," almost all the gift books I'm recommending are paperbacks. There was once an extraordinary writer for The Village Voice named Paul Cowan. Cowan covered everything from a miner's strike in Harlan County, Ky., to school busing battles in Boston. He died at age 48 of leukemia in 1988, but surely few who read his pieces or his autobiography, An Orphan in History — about rediscovering his Jewish roots — ever forgot his voice. A collection of Cowan's finest reportage from The Village Voice has just been reissued. Although the pieces in The Tribes of America are from the 1970s, the early culture-war tensions they chronicle are still with us. As historian Rick Perlstein says in his new introduction, "Cowan was a journalist who threw himself into situations that might just change his mind, and how many of us dare to do that?" Certainly in 1974, when Cowan went to West Virginia, where a traditional rural community was fending off radical new grammar school textbooks, you'd assume he'd have been on the side of modernity. But here's what Cowan said about that and similar experiences: "The stories I wrote about ... turned out to be dialogues with my own private dissatisfactions. As a whole, they left me with a profound respect for the stability of religion, of ceremony, of family life: of customs I'd once regarded as old-fashioned and bourgeois. . . . How can one embrace them and still be . . . a political progressive?" Paul Cowan's haunting question is one that Richard Rodriguez confronts even more personally in his classic 1982 memoir, Hunger of Memory. Rodriguez, who many people know as a commentator on PBS's Newshour With Jim Lerher, hails from one of those "tribes" that Cowan questioned yet respected. His parents emigrated from Mexico to California; Spanish was his first language as a child. 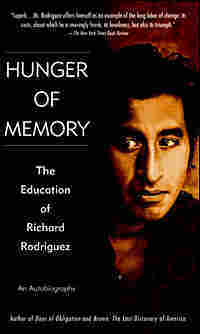 In Hunger of Memory, Rodriguez recalls the process through which he acquired, as he terms it, the gift of "a public identity" by learning English in school — a skill that carried him all the way through to a Ph.D. in literature and, at the same time, inevitably tore him away from his family. When Rodriguez's memoir first came out, it gained him notoriety for its anti-affirmative action, anti-bilingual education views. The book's power to provoke is undiminished as is its atmosphere of solitude and yearning. 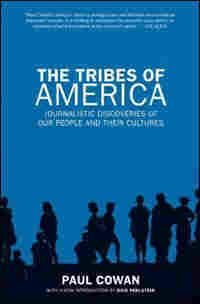 Is one defined by one's "tribe" or by allegiance to a more encompassing national identity? That crucial question of how Americans think of themselves — or, too often, how they've been forced to think of themselves — is at the center of Gary Gerstle's fascinating 2002 history, American Crucible. 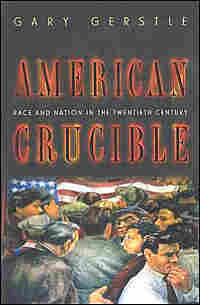 Starting with Teddy Roosevelt's presidency and proceeding through the harsh immigration legislation of the 1920s, FDR's New Deal, the civil rights movement, the Reagan era and the rise of multiculturalism, Gerstle explores how our country has contended with two contradictory ideas of itself: a racial nationalism that conceived of America as "a people held together by common blood and skin color and by an inherited fitness for self-government," versus a far more inclusive "civic nationalism" in which the melting-pot promise of full citizenship is open to all. If I had to recommend one engrossing book that would give readers an informed awareness of the new civic moment we're all living through, it would be Gerstle's American Crucible. 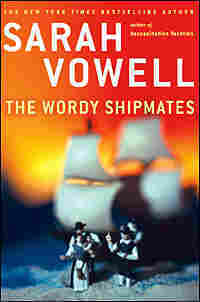 Finally, for an unabashedly loopy but beguiling appreciation of how this mishigas miracle of a country ever got off the ground in the first place, I recommend Sarah Vowell's very entertaining new book about our Pilgrim ancestors, The Wordy Shipmates. Vowell loves to think about the Pilgrims, especially those Pilgrims who founded the Massachusetts Bay Colony. Her book is full of startling anecdotes, occasionally too-cute references to pop culture and many quotes, including a speech by Gov. John Winthrop to his fellow Pilgrims in 1630, which amounts, Vowell says, to "a declaration of dependence." I leave you with Vowell's favorite sentence of that speech as a benediction for the days to come: "We must delight in each other, make other's conditions our own, rejoice together, mourn together, labor and suffer together, always having before our eyes our commission and community in the work, our community as members of the same body."